Certain acts over the course of music history sell a lot of albums and are quite popular, but the music is polarizing enough that many “fans” don’t want to admit they listen to them. Sometimes it was men not wanting to admit they enjoy a more feminine viewpoint, or maybe adults not wanting to tell the kids they like Britney just as much as they do. Today’s band has sold nearly 20 million albums worldwide, but I still haven’t found anyone who has admitted buying one. In the fall of 1966, Neal Doughty began studying electrical engineering at the University of Illinois. His first night, he met another student Alan Gratzer, and they decided to start a band. By the end of the school year, they had a full band and decided to make a list of songs to learn over summer break. Some of the bands they covered were The Doors and The Beatles, showcasing songs that featured the keyboard. They put an ad in the school paper as a ‘band for hire’ and shortly after obtained a gig playing a local frat party. 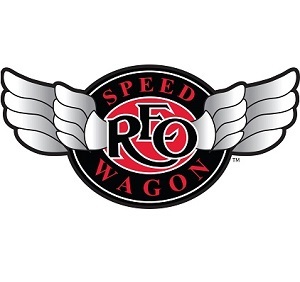 All they needed was a name, and after learning about the REO Speed Wagon in a transportation history course, they decided to name the band after the flatbed truck created by Ransom Olds. After a few lineup changes, the band landed a record deal in 1971 and the rest is history. Today I’m listening to the band’s ninth studio effort, Hi Infidelity which was released in November of 1980. Not only is this REO’s best-selling album to date at over ten million copies, it was also the highest selling rock LP of 1981. This also marked a major change in sound, showcasing a more ‘pop’ feel as opposed to their prior harder rock mentality. Because of this new upbeat sound, many of the diehard followers turned their back on the band, calling them a sellout. But four chart-topping singles and 65 weeks on the Billboard charts indicated the music was a hit. Many in the industry credited REO for setting the bar for rock bands selling in popular numbers going forward. Finding that balance between really good rock’n’roll music, but appealed to the masses. Gosh—what can I say about this? It seems like everyone knows REO Speedwagon, and have almost become a punch line for people of my generation. I still think of Billy Madison going back to high school and proudly displaying his band t-shirt, with everyone laughing at him and walking away. I don’t know many folks who were teens in the early ‘80s that confess to buying their work, let alone still listen to it today—which is interesting because of the sheer numbers they sold during that period. There are a couple tracks you still here on classic radio today, and they’re pretty catchy. I think if you’re looking for a signature pop album from the early ‘80s, you may not find a better example than this. It’s toe-tapping and one you can crank up in the car and sing along if you want. Just don’t do it with the windows down, at risk the car next to you will make fun of you the rest of the day. REO Speedwagon still gets back together and tours from time to time. If you haven’t gotten a chance to see them in person over the last three decades, pick Hi Infidelity up today for $5 bucks—maybe commit fully and get yourself a perm too, what can go wrong? Thank you for writing this blog, Austin. I read it every week and enjoy learning a little bit about the bands I used to listen to, and being exposed to newer bands too. I started buying most of the albums and it has been a lot of fun. Thanks again!! That’s awesome, thanks for the comment Dan! It’s a lot of fun for me too – I get to throw on some of my favorite classics and then try new stuff as well. I certainly have picked up my fair share of these albums too, because I’d never heard them before and I loved them so much. Cheers! I’m so happy you made that Billy Madison reference. Ha! I’m glad someone out there enjoyed it! Thanks for the comment!